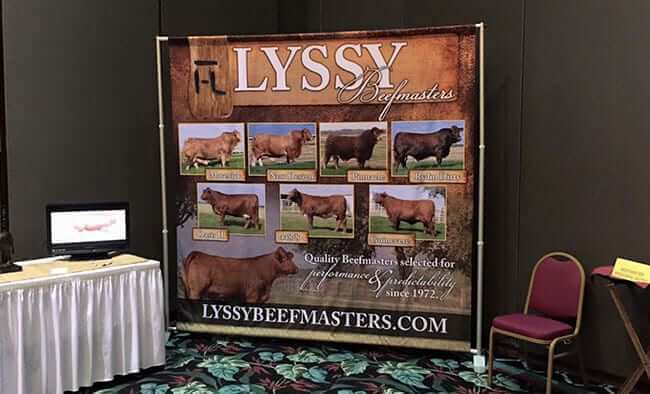 No matter what size space you have, we have a banner that fits it. 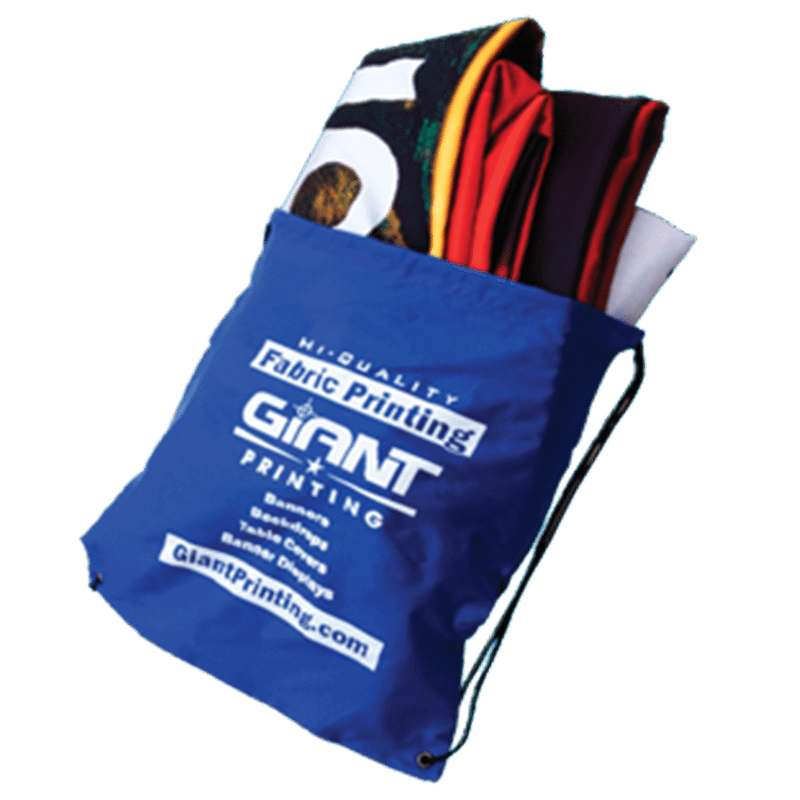 All of our Fabric Banners come with a small carrying bag. Fabric Banners Beat Vinyl Banners in every way. 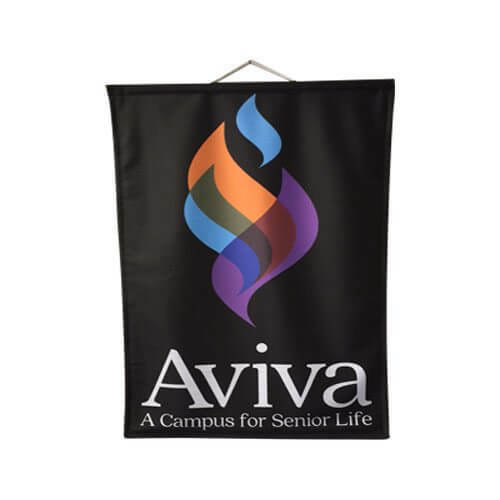 Our banners are so durable you can throw them in a washing machine – try that with vinyl – and are wrinkle resistant. 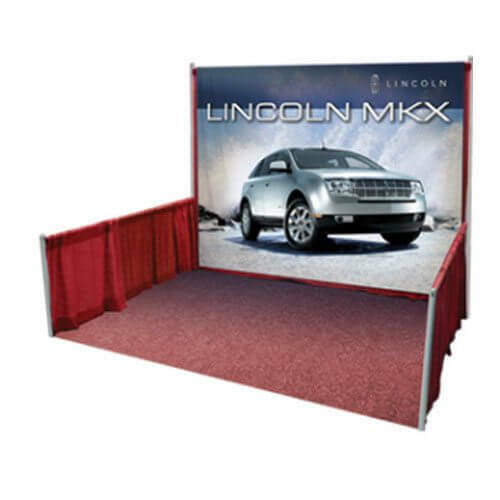 Tested & Approved Fire Retardant Fabric Displays! Our Fabric Banners can literally be packed in your carry-on luggage. Try that with a Vinyl Banner. Our Fabric Banners can literally be packed in your carry-on luggage. Try that with a Vinyl Banner! 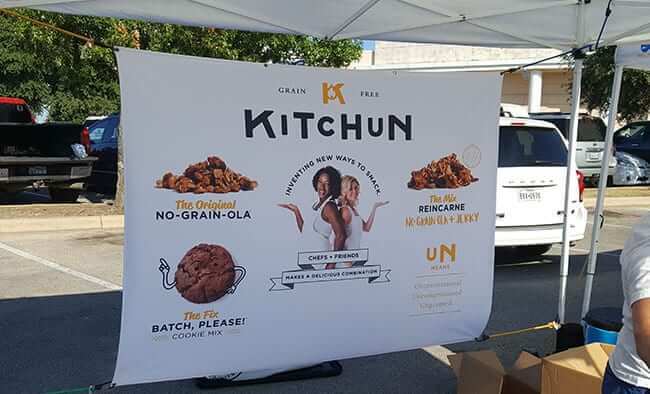 Recently a customer rented a cargo van to pick up his 10′ x 8′ Banner. You should have seen the look on his face when I handed him a 5lb bag with his banner folded up inside of it. 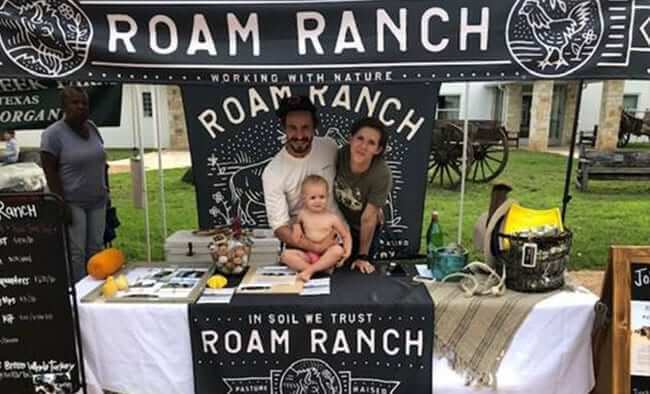 Don’t be that company that shows up at the next trade show or convention and has a banner thats so scratched up it looks like you used it as a painting tarp. 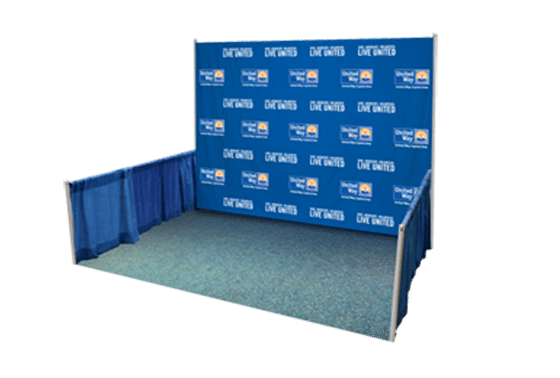 With our Fabric Banners, you always make a great first impression whether they are being used indoors or out. The Key to Versatility while Maintaining your Professional Image. 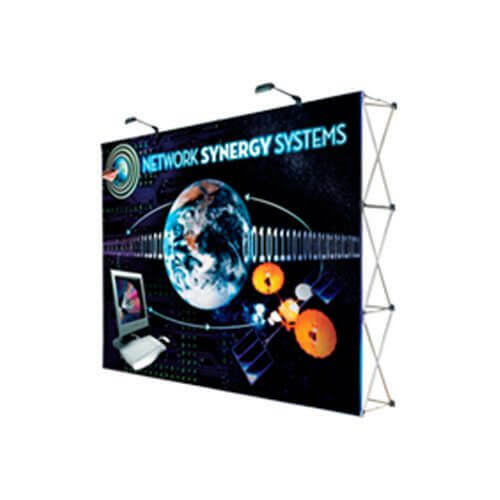 If space is at a premium, fabric banners can be produced for a variety of applications. From Church banners to Lobby Displays and everything in between, your banners, using Made in America Fabric, will be of the highest quality and can stand the test of time. You’ll be making the visual impact you desire that will effectively communicate your message. Setting up backdrops can be time-consuming using hooks. Grommet-Free backdropschange that dramatically. 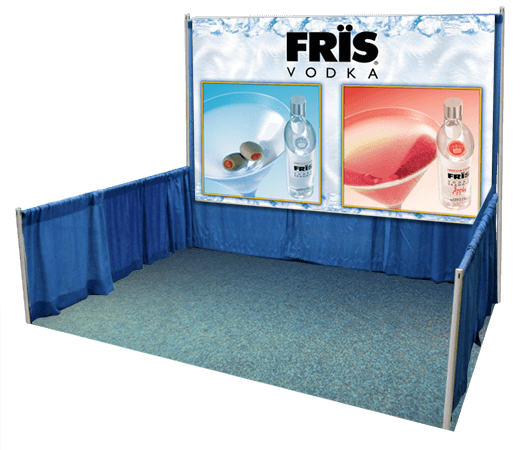 Not only in appearance but in a matter of minutes, you’ll have your backdrop set up using the exhibitor supplied Pipe & Drape! A new concept using Grommet-Free Banners, applying your high-end graphics to our proprietary 2 step printing process, use water based ink with none of the inconveniences you get with Vinyl banners. No worries with edge curls, scratches, creases, peals and the ‘ugly shower curtain hooks’. There are basically two options. 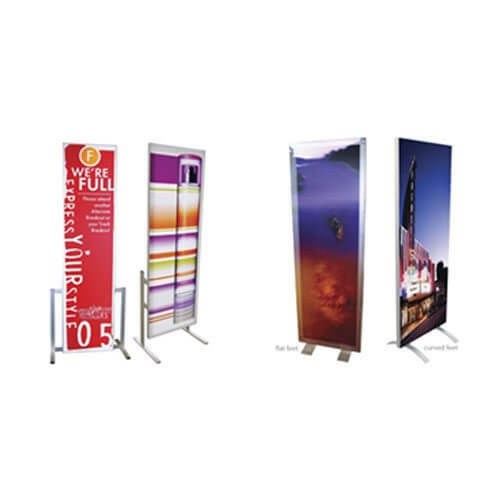 PVC Vinyl Banners or Fabric Banners. 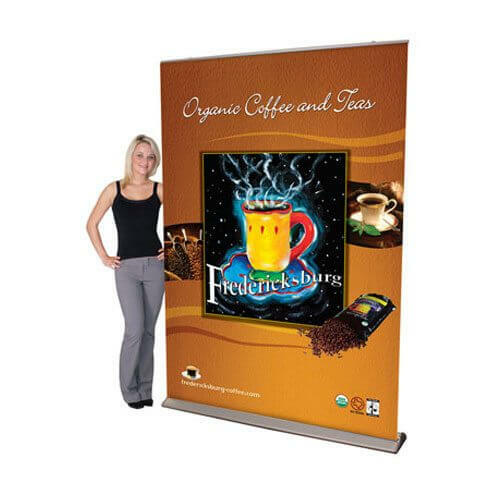 Giant Printing would be remiss not to mention the health concerns and eventual environmental impact PVC Vinyl Banners have. According to the The Center for Health, Environment and Justice, polyvinyl chloride (PVC) is “one of the most hazardous consumer products ever created”. This is due to a series of chemical reactions during production, releasing byproducts that could enter the atmosphere, groundwater and soil.Now we’re not saying being exposed to this one time will have adverse effects on you, but long lasting Fabric Banners don’t have the toxicity that banners derived from PVC and solvent based inks have. 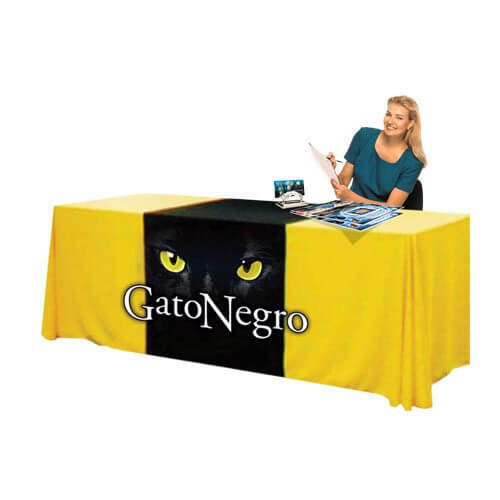 So the safe bet is Fabric Banners for all your indoor displays. I finally used the banners and throw in FL, USA. I only saw them for the first time this week. They are awesome. I can tell you they looked 100 times better than any other banners. Thank you very much. I might get some more – soonish. I just returned from Seattle and the two Jumbo Banner Displays worked great. We just received the fabric banner and it looks great! Thank you for your quick service. We will definitely be in touch when additional needs arise. We got the banner stand and we love it! We are looking forward to working with you guys in the near future. I just wanted to let you know that the banner and table throw you made for us were AWESOME! 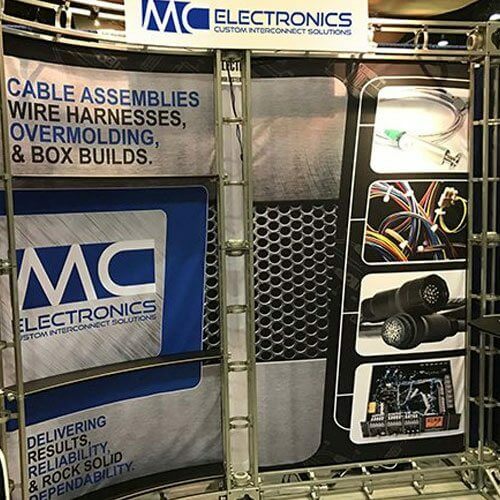 They were so easy to transport and really caught people’s eye at the trade show this week.